SuG will be going on a hiatus this coming September. The band previously went on a hiatus in 2012/2013. The official announcement doesn't state one particular reason, but cites this is what the band decided after a mutual discussion. Vocalist Takeru claims they've done all the things they could and couldn't do, and simply ask fans to support the band. September 2nd marks the final show for the band. The one-man tour will be held at the Nippon Budokan in Tokyo to celebrate its 10th anniversary. After the one-man tour, all activities will stop. 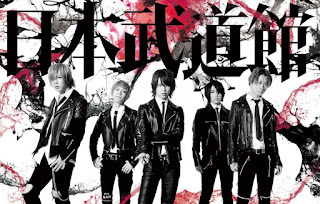 It's unclear if SuG will return and what members will do after the group goes on the hiatus.